Four years ago, TT Fusion gave us another bite at the LEGO apple with a massive open world unlike any they’d ever built before. As Editor David Roberts called it, a Grand Theft Auto-scale game, but suitable for the whole family. If you missed out on LEGO City Undercover four years ago on the Wii U (our review here), you’ve got a fresh opportunity to give it a spin on a bevy of new platforms. If you’ve played a LEGO game before, you know how great TT Fusion is at creating a living block-built world filled with fun little mini-puzzles. Much of that comes from the outstanding (and often very cheesy) writing. Chase McCain, a cop recently returning to the force at the LCPD, is tasked with apprehending his nemesis and recently-escaped convict, Rex Fury. Whether it’s the John Woo spinning car over the cliff scene from Mission Impossible, or the Dirty Hairy quote adapted to cups of coffee, LEGO City Undercover is as charming as ever, filled with puns, wordplay, and a metric ton of of movie references. Rex Fury is a little less menacing on a pink scooter. The biggest addition to the original game is the inclusion of two-player drop-in/drop-out co-op. At any time, a second player can spawn as a clone of protagonist Chase McCain, free to roam around the entire world to do whatever they want without restrictions. When either player hits a story trigger area or shield, the game pops both players to that location, playing the in-game cutscene with only one Chase — it’d be hard to explain otherwise. My only complaint with this cooperative mode is something my wife said after about an hour of split-screen play — “I don’t feel like I’m adding anything”. She was right. There are no two-player puzzles or missions like we’ve seen in games like LEGO Star Wars: The Force Awakens (our review), or LEGO Jurassic World (our review). As before there are over 100 vehicles to play around with, but it quickly becomes obvious that none were designed with a second seat in mind. Also an artifact of the game’s Wii U roots is Chase McCain’s police communicator. We can call it something else, but it’s absolutely the in-game representation of the bulky Wii U tablet controller. Visuals aside, the controls are moved from this second screen experience to an in-screen minimap like you’d expect in any open world game. Ultimately, this is an improvement as it keeps your eyes on the road, even if that means a slightly more cluttered UI. Speaking of the road, the vehicles in LEGO City Underground skid around like a walrus on ice skates. While it doesn’t take long to get the hang of it, the vehicle controls could easily be described as ‘floaty’. Taking to the sky with helicopters just takes the ice skating rink aerial. It was an issue on the Wii U, and that’s not changed with a move to a new platform. One of the areas that David commented on in his review was the lengthy load times of LEGO City Undercover. Thankfully these have been marginally improved. My disc-based version loaded any sequence in 30 to 40 seconds — a far sight better than the minute or longer waiting game on the Wii U, but still a good chunk of time to read the same handful of character introductions over and over. In a world where The Witcher 3 can load 52 square miles of terrain without loading, it does show that the core of this title is in fact four years old. LEGO City Undercover shines brightest with its new 1080p presentation, coupled with a rock solid framerate. In true LEGO form, it’s also very shiny, delivering a look and feel that TT Fusion has honed over quite a few games prior. It’s no slouch in the visuals department. 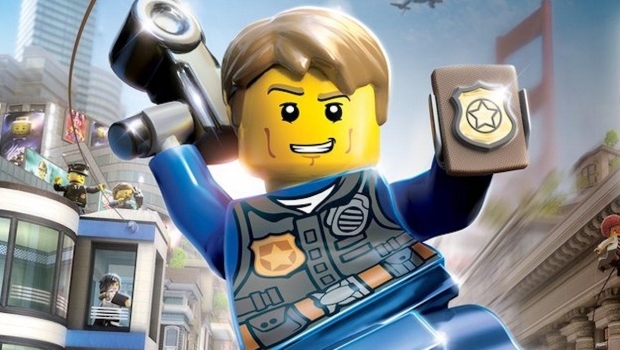 LEGO City Undercover, like many games exclusive to the Wii U, is an undiscovered gem. I’m happy Warner Bros. and TT Fusion decided to update it for a new audience. The story is laugh-out-loud funny, full of witty one-liners and fantastic movie references for kids and adults (“Compupers!”). While the co-op feels very tacked-on, and the loading requires a bit of patience, it’s a worthy addition to the LEGO universe.